550 more small businesses and individuals have been assisted by government through the Micro-Small Business grant. Acting PM Aiyaz Sayed-Khaiyum handed grants of one thousand dollars each to the micro and small business owners in Sigatoka yesterday. This is the third phase of the handing over of the grants. 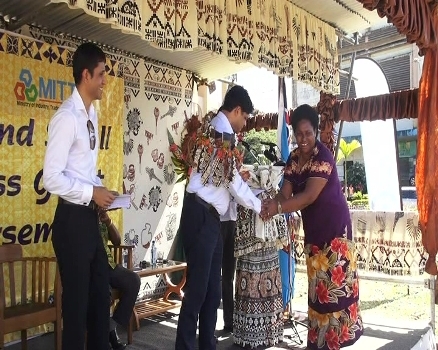 The first one was in Suva – which benefitted over 300 people and the other one in Navua a week later for over 100 people. The government received over 27,000 applications for the grants. Only 7,000 people qualified.